Want to setup a wireless network for your home? As laptops, smartphones and other mobile devices grow in popularity, customers increasingly want to upgrade their current wired network to a wireless one — enabling you to use multiple computers and devices to access your home's internet connection, easily share files and printers and surf the web from any room in your house. There are many advantages to wirelessly connecting your home but there are some important things to consider before you simply buy a wireless router at your local electronics store. Homeowner's who setup wireless networks themselves often unknowingly expose their online activities, email, IMs and private files to wireless intruders by failing to set a password or mis-configuring their network. Computer Service Authority can not only make sure your personal information is safe but they can protect you from people secretly piggy-backing off your internet connection. our expert technicians will also optimize your wireless network for your home, installing critical upgrades and security patches and ensuring you have the best possible wireless experience. 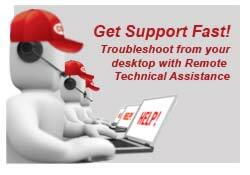 Call one of Computer Service Authority's professionals today for prompt, friendly service. From simple bookeeping to client collaboration, computers and computer networks are integral to almost every facet of doing business. Protecting the efficiency and security of your company's network is of the utmost importance. Malware infection, security breaches,routine maintenance failures and lack of employee security protocols costs businesses billions and billions of dollars every year, comprimising customer's private data, client databases and proprietary company information. Computer Service Authority has been installing and maintaining secure, stable networks for over twenty years. In fact, we specialize in computer networks that handle patient's medical information, which is among the strictest of network security standards. If you have a business in the Dallas - Fort Worth area, contact Computer Service Authority to setup your computer network. We'll assess your company's needs, recommend and install any necessary hardware, upgrade key software and train your employees. We are the Technology experts you can really trust to protect your business. Computer Service Authority also specializes in installing and securing Microsoft Exchange Servers, the industry standard for business managing company calendars, contacts, messaging and emails. Pefect for companies with a hich percentage of out-of-office salesmen and executives, Microsoft Exchange is a comprehensive suite of tools to elevate your business. Call us for a consultation today. Do you own or planning to own a new smartphone? If you're going to buy the latest Blackberry®, Android or Apple iPhone we can help you setup and walk you through syncing and maintaining your mobile device. 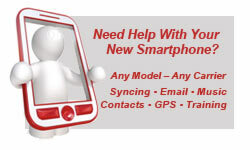 If you're having trouble with your existing phone, we can fix that too.